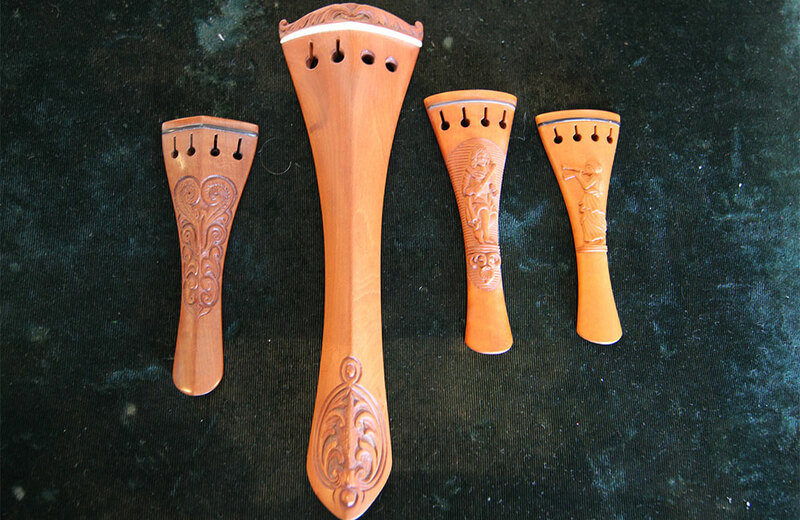 There's more to a violin's tailpiece than simply holding the strings in place. Properly fitted, the right tailpiece enhances the sound. The tailpiece anchors the strings on the bottom end of violins, violas and cellos. As the top of the strings are held in place by pegs in the peg box, they are strung across the fingerboard and tightly fit into nubs of the bridge, all held sturdily at the lower end by the tailpiece. A work of engineering, the properly installed tailpiece can enhance a stringed instrument’s harmonics, resonance and overall playability. The right tailpiece, in its right position, can make the whole instrument more responsive to the player. Tailpieces are often made of ebony or rosewood, or composites including plastic, and frequently match the tuning pegs and fingerboard. Ebony or other dense woods can be used in tailpieces to warm up and deepen an intense and hard-edged sound. Likewise, a light wood such as penambuco can brighten a dark and muddy violin. A well-chosen tailpiece material can accentuate or sometimes correct the sound of an instrument. Though a violinmaker might desire a lighter tailpiece, a too-light tailpiece can have an adverse effect on an instrument’s sound. It can interact negatively with the instrument’s natural resonating vibration patterns and contribute to wolf tones. The right weight tailpiece can bring warmth and body to the sound while subduing wolf tones. Tailpieces have a direct relationship with the strings of the instrument. 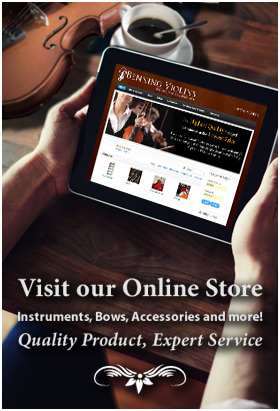 Well-designed and well-crafted violins, violas and cellos will have extra attention paid to the tuning of the “afterlength,” or the part of the string between the bridge and the tailpiece. “Fine tuners” are small devices built into the tailpiece at the top to adjust further the pitch of a string. Tuning pegs may not be sensitive enough to the player’s pitch preferences, especially of metal core strings and solid steel E-strings, and so, a fine tuner can adjust at a micro level.